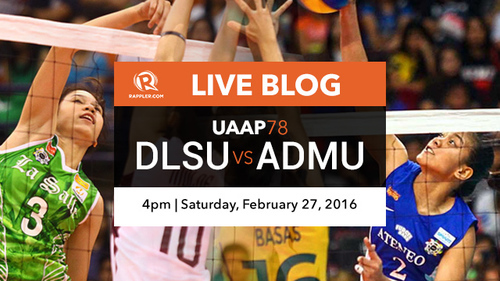 Welcome to our UAAP 78 volleyball live blog! 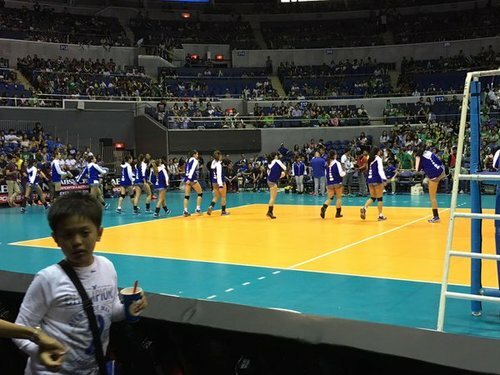 This is Ateneo Lady Eagles vs DLSU Lady Spikers! 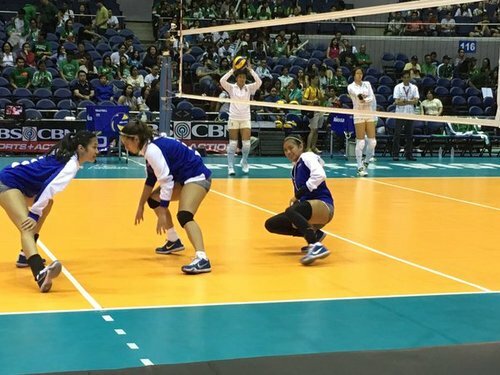 Valdez gets one on the board, and a service ace for Ateneo! We are tied, 12-all. 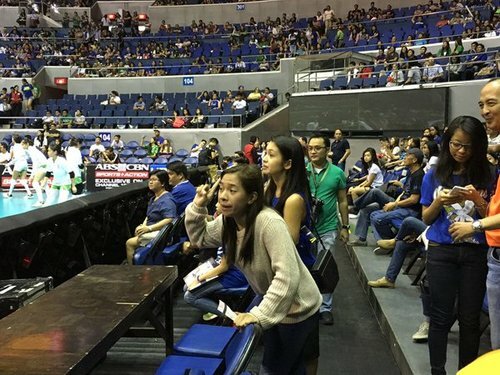 La Salle, Ateneo showing they're a level above everyone else with this game. 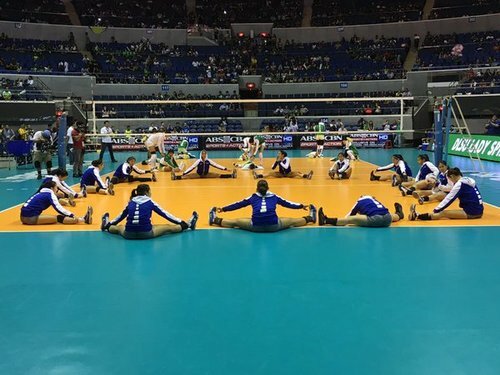 Maybe NU can join them. But these 2 are ahead. TIMEOUT. 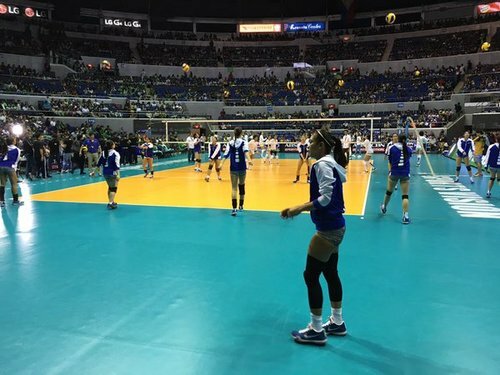 Ateneo Lady Eagles back with the lead, 14-12 here in set 1. Service ace! 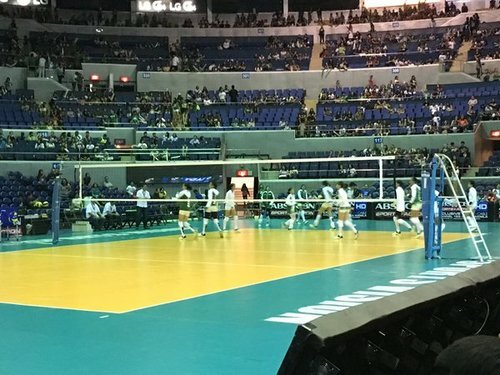 3 quick points for La Salle after timeout, they are back on top, 15-14. 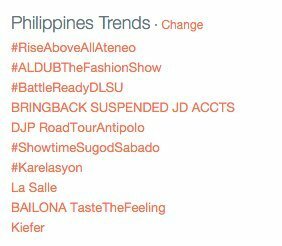 #BattleReadyDLSU both trending in the Philippines! 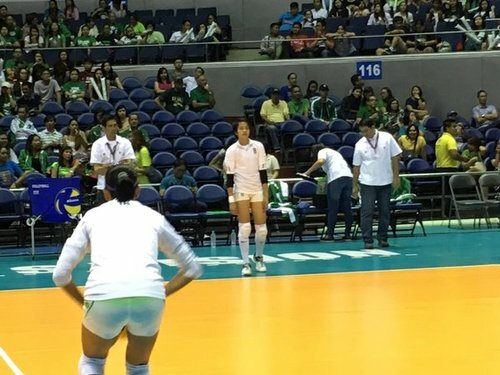 Set point now for the Lady Spikers, 24-21. 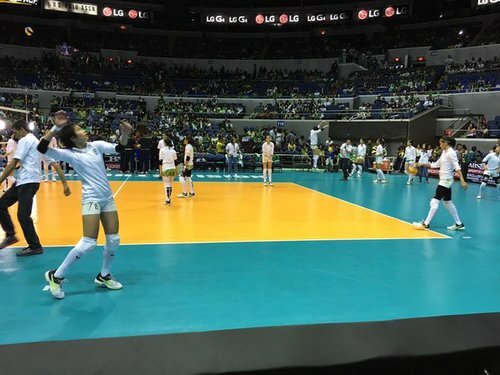 DLSU Lady Spikers take the first set, 25-22! Second set already underway! 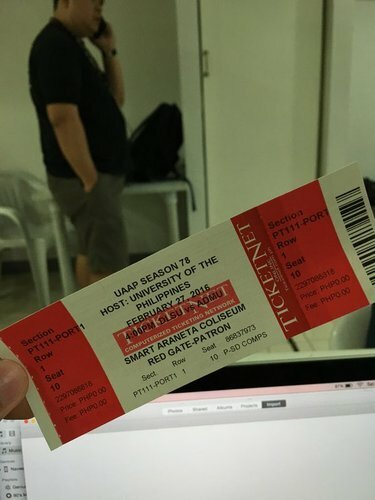 DLSU ahead, 4-0. 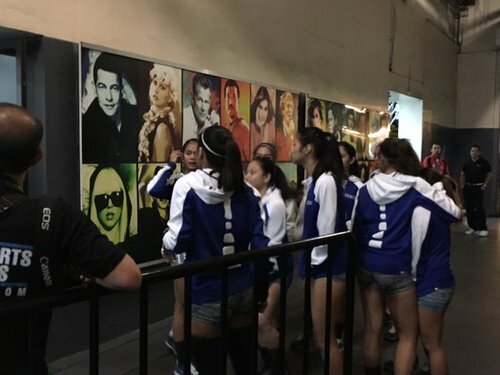 Early timeout for Ateneo. 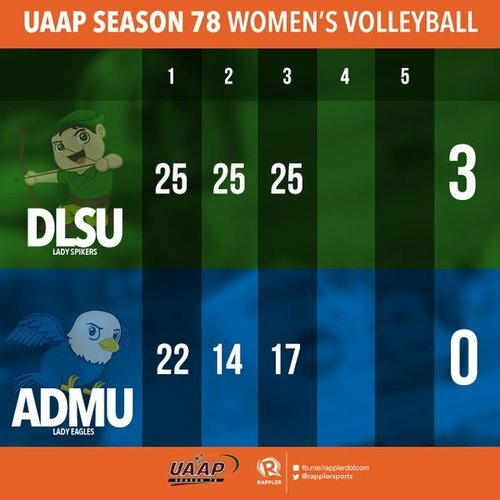 This is now a 7-0 lead for the Lady Spikers in set 2. Service ace! 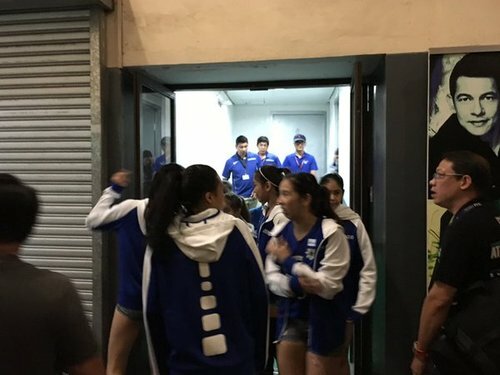 Another timeout for Ateneo, La Salle up, 8-0. Make that 8-0 now for La Salle in set 2. 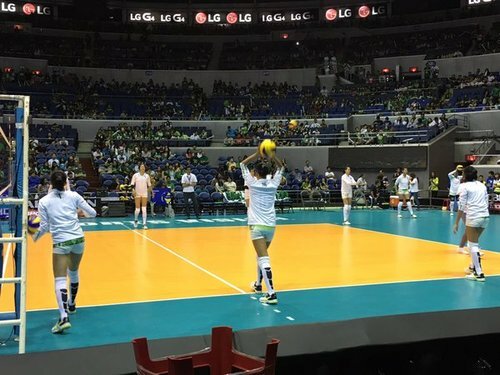 Lady Spikers in firm control here, quicker to the ball. 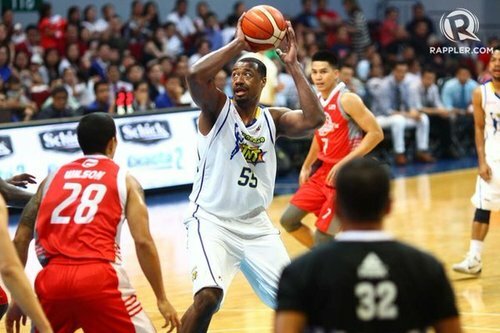 Macandili struggled last season but has been superb this year. 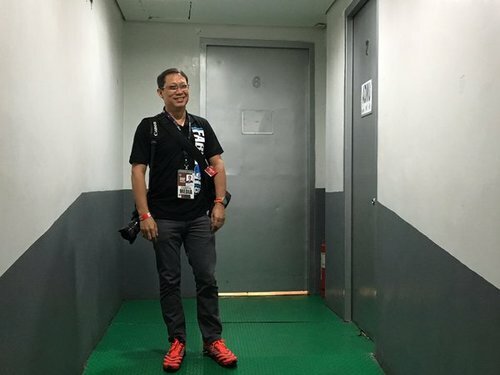 Huge for La Salle's defense. 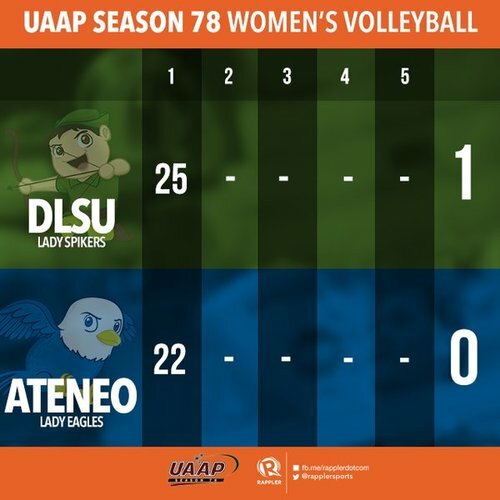 Ateneo Lady Eagles still trailing here in set 2, 4-11.